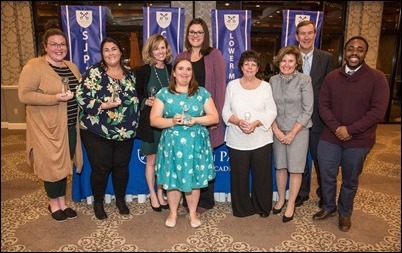 Friday we had the 10th anniversary of the Yawkey Foundation Teacher Awards, which recognizes exemplary educators at Pope John Paul II Catholic Academy in Dorchester. It was wonderful to realize how so many of the teachers have dedicated much of their careers to teaching at Catholic schools. For some, it is truly a lifetime commitment that has a deep sense of mission. We are so grateful that the Yawkey Foundation sponsors these recognitions because they are so well deserved. 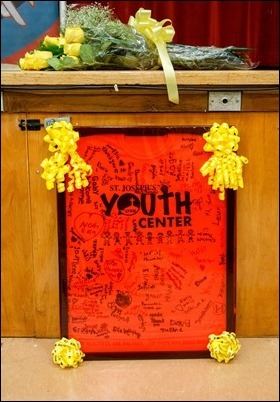 Friday, I went to visit the Youth Center at St. Joseph Parish in Lynn, which I had encouraged them to begin last year. 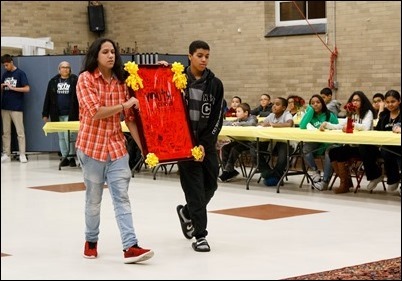 Seeing the success of the Teen Center at St. Peter’s in Dorchester we wanted to replicate that model in different areas of the archdiocese. Lynn, with its very large immigrant population, was a good venue to do that. 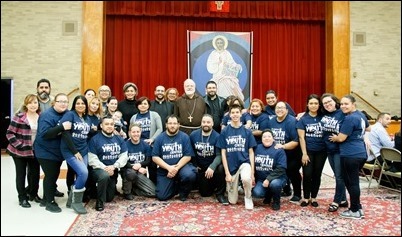 The administrator, Father Israel Rodriquez, and the vicar, Father Wellington Oliviera, have certainly embraced that mission and have worked very hard to make it a success. They invited me to see all the progress they have made with the youth center in its first year. 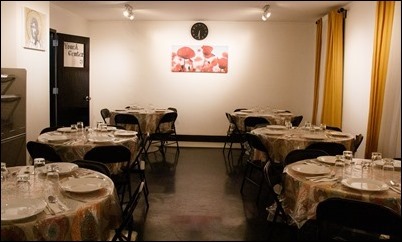 They have refurbished the former convent to create a dining area, classrooms and recreational facilities for the young people. 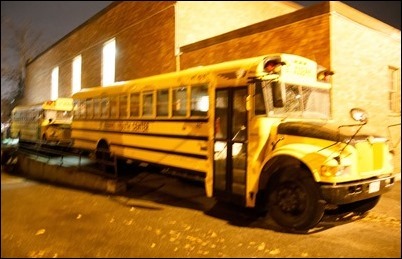 They have even purchased school buses to pick up children from the local schools and bring them to the center. We are so pleased that they have been so successful in Lynn and the response of the people has been just overwhelming, which is evidenced by the impressive number of volunteers they have. During my visit, we had a beautiful gathering with the young people and the volunteers. The young people sang for me before we enjoyed our food. I am glad I didn’t have to be blindfolded, or I would probably still be there! 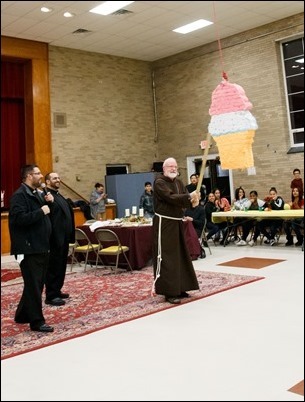 Working in Hispanic parishes for my entire priesthood, I saw many piñatas, but this was the first time I actually had to break one. It was a wonderful visit. 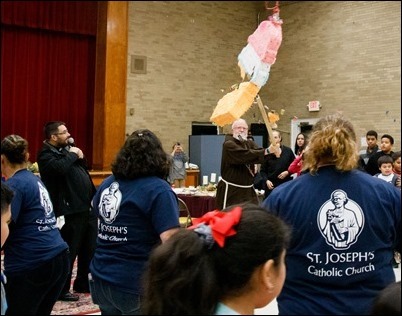 We are so grateful for the work they do at St. Joseph Parish, and we are hopeful that we will be able to initiate similar centers in other parts of the archdiocese. 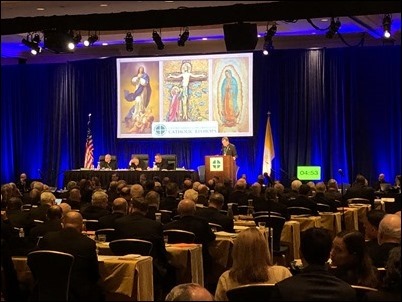 Then, on Saturday, I headed to Baltimore for the annual Fall General Assembly of the U.S. Conference of Catholic Bishops. Before the meeting formally begins, we hold meetings of the various committees over the weekend. I took part in meetings of the Subcommittee on the Church in Africa , which is doing wonderful work supporting projects there. I also participated in the meeting of the Committee for Pro-Life Affairs. Cardinal Dolan is concluding his term as chairman of that committee, and he will be succeeded by Archbishop Joseph Naumann. 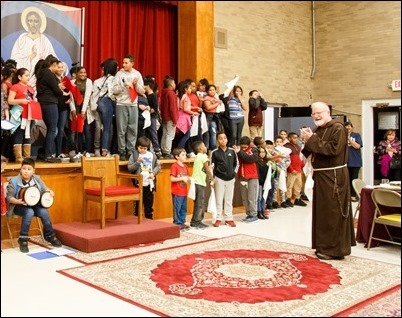 Archbishop Naumann was once a diocesan pro-life director before he became a bishop and he has been a constant promoter of the gospel of life. 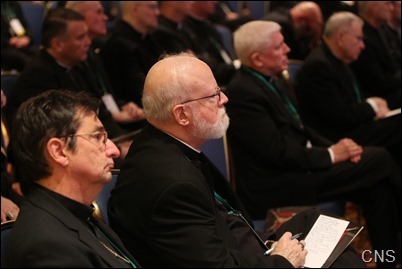 Each year, before we gather for the plenary assembly, there are also regional meetings of the bishops. This meeting gives us an opportunity for discussions on issues of common concern in our part of the country. Our region, Region I, encompasses New England: the Archdiocese of Hartford and their province, and the Archdiocese of Boston and our province. This year, we were very pleased to welcome a new member, Bishop Juan Betancourt, the new auxiliary bishop of the Archdiocese of Hartford. 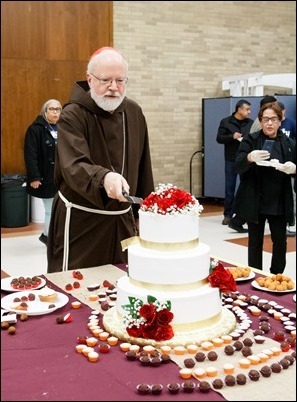 He is from Puerto Rico and, in fact, he told me that before he went to the seminary, he attended an ordination that I celebrated in Ponce, Puerto Rico many years ago. 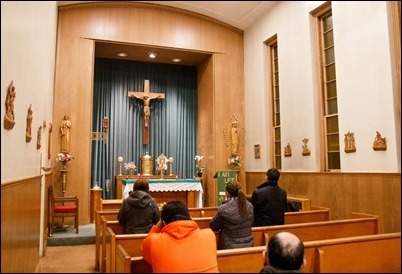 Our meeting began on Monday and the first day was spent in prayer — Eucharistic adoration, Mass and the Divine Office – but there were also a number of speakers. We heard from two survivors of clergy abuse, Luis Torres and Teresa Pitt Green, who gave very moving testimonies. 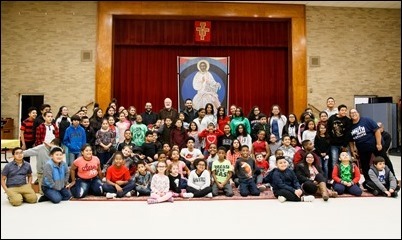 Then, in the afternoon, we heard from Christian Lamas, the executive director of the National Federation for Catholic Youth Ministry, and Sister Teresa Maya, a member of the Sisters of Charity of the Incarnate Word and past president of the Leadership Conference of Women Religious. Both were very eloquent. It was a very good way to begin the week, in prayer with all the bishops, because we had very challenging topics to discuss. It is always good to begin by seeking God’s help in the light of the Holy Spirit, bringing us together to build a sense of communion among the bishops. I think one of the positive aspects of the meeting was that the agenda was mostly cleared in order to devote the majority of our time to reflection on the abuse crisis. 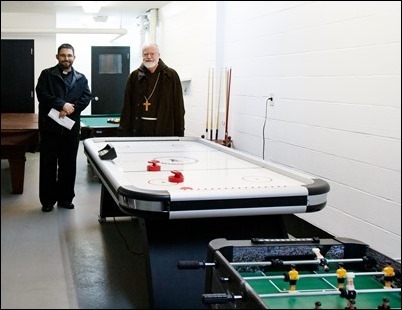 By not having many items on the agenda, it was a unique meeting, in that it was like a conversation among all the bishops for hours. We usually do not have that opportunity, and I think that was very helpful. Obviously, we had thought that we would come up with policies to be presented and voted upon. Instead, the Holy See requested that we try to prepare for the meeting of the presidents of bishops conferences in February and to be able to have very concrete ideas to present there. 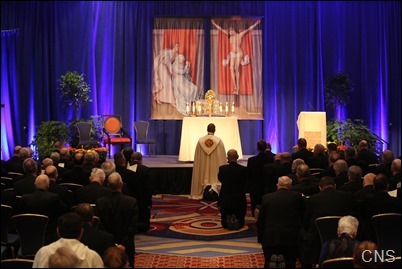 The February meeting will gather the presidents of bishops conferences from throughout the world, so that will put these policies in the context of a global response for safeguarding and the accountability of the hierarchy. 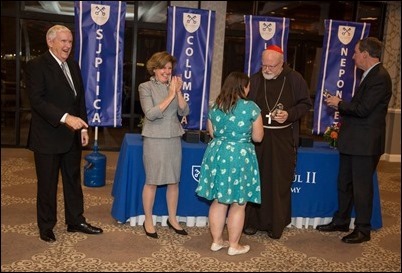 So, I think the initial disappointment we felt was replaced by a hopefulness, as Cardinal DiNardo said in his closing remarks. I think it is clear that the resolve and commitment of the bishops around child protection is unshakable, and I was very encouraged by that. Though, as I said, much of our time was devoted to the abuse crisis, there were some other items we addressed at our meeting. 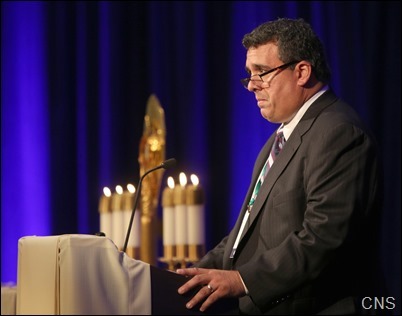 There was, of course, “Open Wide Our Hearts: The Enduring Call to Love, A Pastoral Letter Against Racism,” which the bishops promulgated. I think that is a very important document, given the world in which we live. The document did stress racism against Hispanics, Native Americans and African-Americans, but also mentioned other types of racism, such as anti-Semitism, and anti-Muslim and anti-immigrant sentiment. 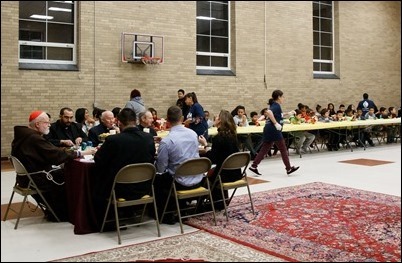 It is framed in terms of this being a life issue — that we, as believers, are called to respect the dignity of every human being and see them as a unique child of God, our brother or sister. Of course, in the world in which we live, there are so many acts of violence — such as the horrific attack on the Tree of Life Synagogue — that serve as a reminder of the challenges we face striving to overcome prejudice in our country and in our world. 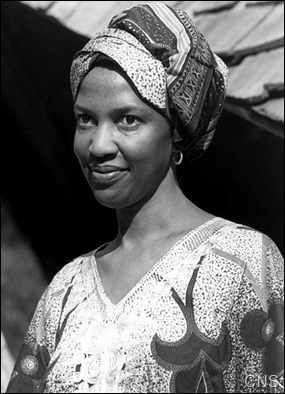 There was also a vote to advance the cause of canonization of Sister Thea Bowman, the first African-American member of her order, The Franciscan Sisters of Perpetual Adoration. She was a remarkable religious woman and an advocate for recognizing the value and contributions of all people. I told the bishops about the great impact she had in the Virgin Islands, where the witness of her life touched people so profoundly. I am delighted that the cause of Sister Thea has been recognized and that people are looking to her life as an example of heroic sanctity. 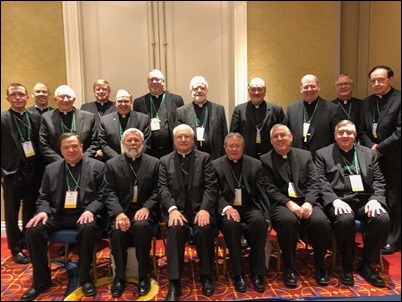 Also, during the course of the conference, there was a breakfast for the bishops sponsored by Pope St. John XXIII National Seminary, to give them a chance to become acquainted with the work of the seminary. 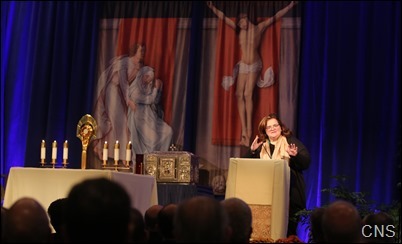 I was so pleased that a large group of bishops attended and, in fact, it was one of the largest groups we had ever had. During the breakfast, two seminarians spoke and gave beautiful testimonies about their experience at Pope St. John, which is geared towards preparing older men for life as parish priests. There was also an address on the seminary’s program to help men who are returning to ministry after a long absence. 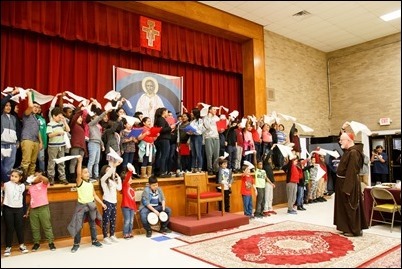 That has been an important contribution that Pope St. John XXIII has been giving to the dioceses.